Steal all the stares in this must-have mini skirt. 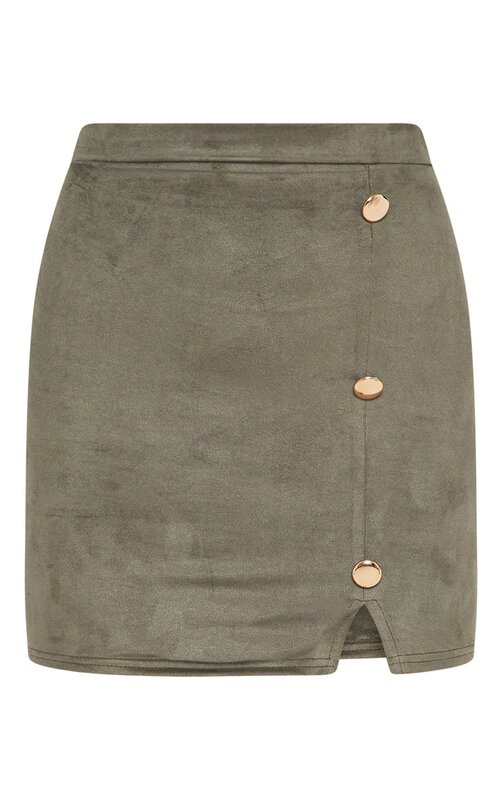 Featuring a khaki faux suede fabric with button detailing, mini length and figure-skimming fit, what's not to love? Pair this with the matching crop and strappy heels for a look we're loving.